Every year Karate No Hi (Karate Day), hold something exciting and fun. 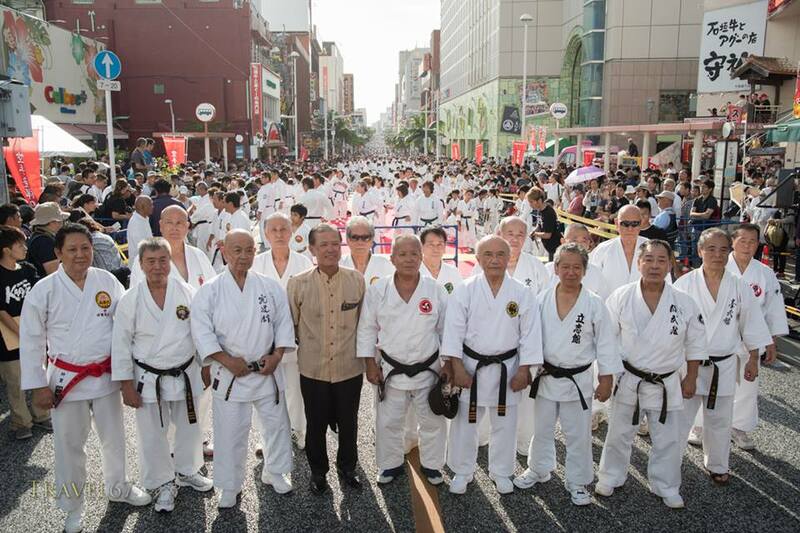 The main road in Naha “Kokusai Dori” is blocked off for demonstations by karate masters of the various Okinawan karate styles as well as students from many dojos in Okinawa performing either on stage or in the street. 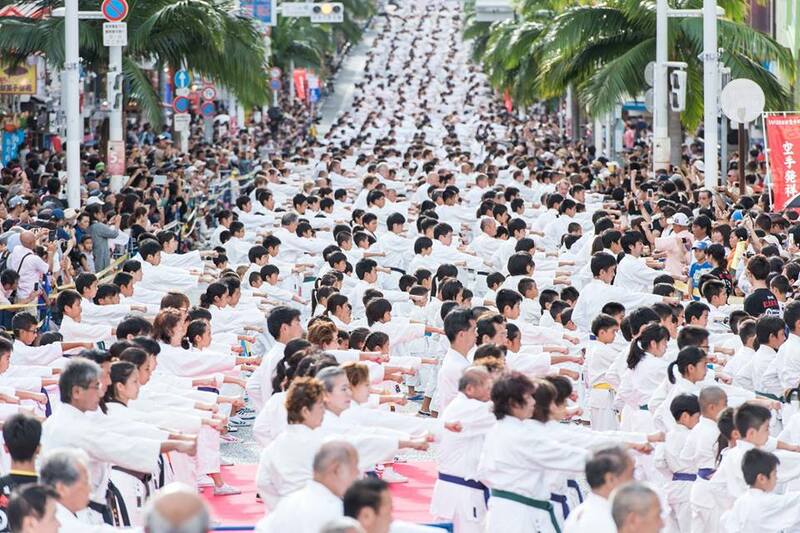 This year (2016) on October 23, during the Karate No Hi festival, a world record was set with 3973 karate participants performing Fukyugata Ichi simultaneously by the count. There were 100 judges closely observing the demonstation. For the category of “Simultaneous karate demonstration with the largest number of participants”, a new world record was acheived, vastly exceeding the previous record of 809 participants in India set in August 2013. As Fukyugata Ichi was created by O’Sensei Shoshin Nagamine, this event holds a special meaning for the many Matsubayashi-Ryu practitioners throughout the world. This event was broadcast live throughout the world on YouTube.